Lentils are naturally low in fat and high in dietary fiber, folate and magnesium, making them an excellent addition to your diet. These nutritious legumes also provide protein, iron, phosphorus and copper. 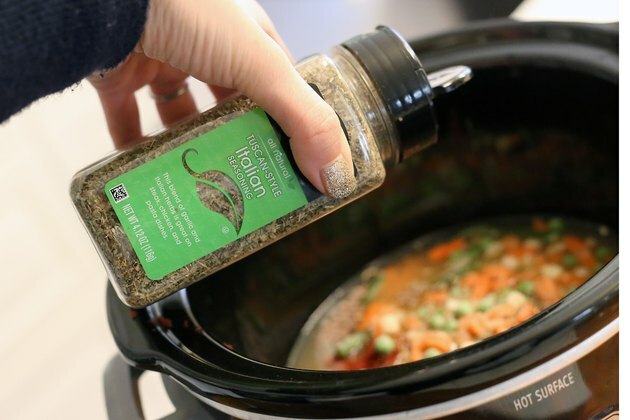 While lentils can be cooked quickly on the stove top, many prefer to cook them with savory spices and herbs in the Crock-Pot, as a side dish or as part of a main meal. Spread the lentils on a paper plate or on paper towels. Examine them for any small stones or bits of plant residue from harvesting. 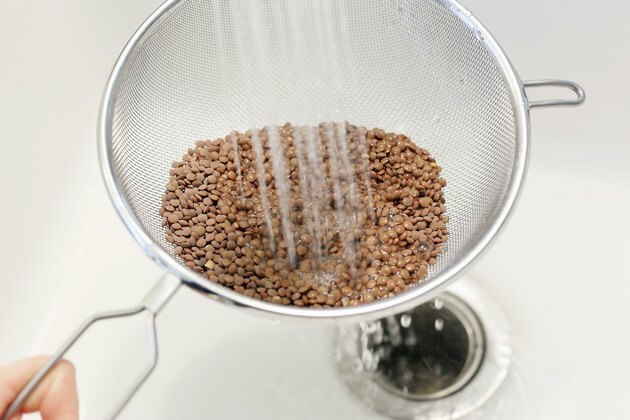 Pour the lentils in a colander and rinse them under warm water until the water runs clear. 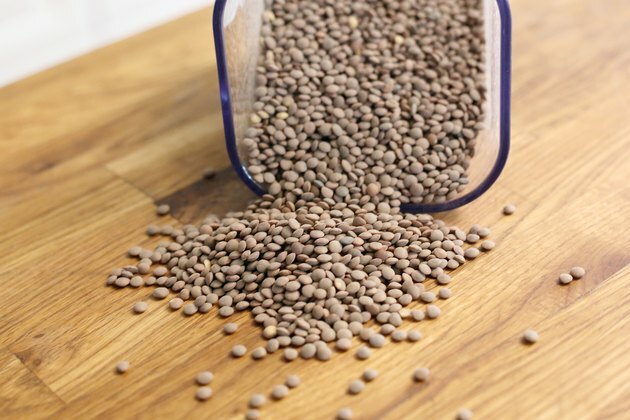 Unlike other legumes, such as dried beans, lentils do not require soaking before cooking. 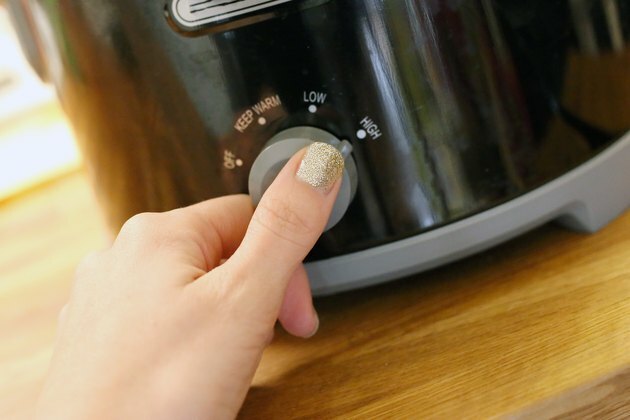 Place the washed lentils in the Crock-Pot. 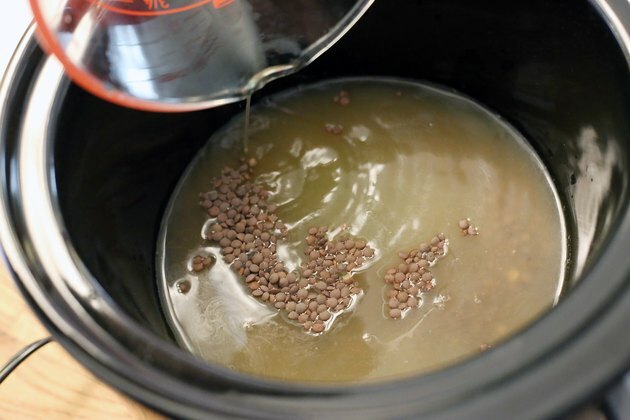 Add 1½ to 2 times as much liquid as lentils for lentils that will be served as a side dish. Choose water or low-fat broth. Add vegetables, such as chopped carrots, garlic, onions and other root vegetables. Enhance the flavor with canned tomatoes and chopped lean chicken. 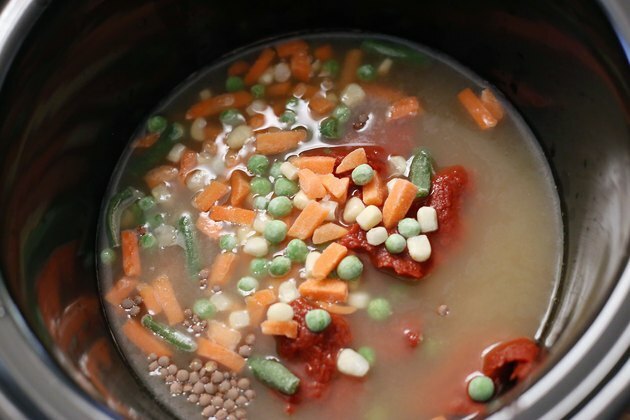 For a lentil soup or stew, add more liquid to increase the broth. Season the lentils with Italian or Indian spices. Don't add salt until the last 10 to 15 minutes of cooking, because salt can make the lentils tough. Cook the lentils on the low setting for six to seven hours, or the high setting for three to four hours. Red and orange lentils do not hold their shape well after cooking and are often used to thicken soups and stews. Common brown lentils hold their shape but become soft and mushy when overcooked. Black lentils, green lentils and French Le Puy lentils hold their shape well after cooking, making them suitable for use in salads.